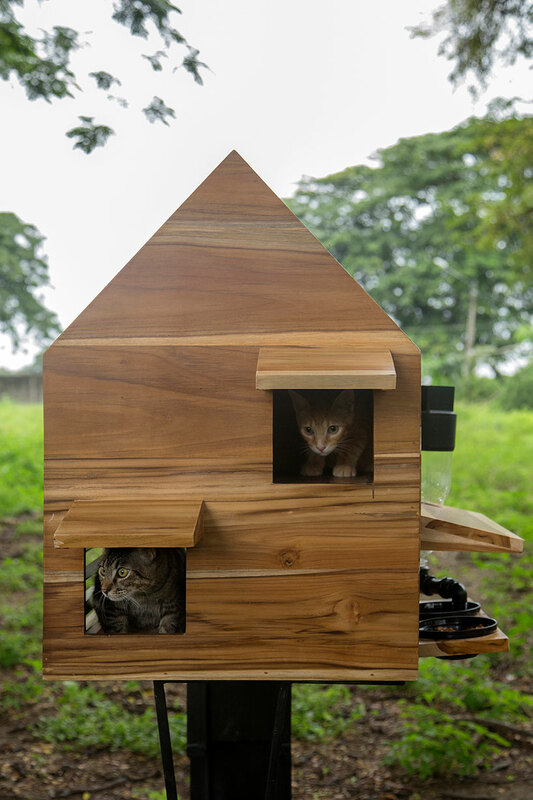 in latin america, there is a statistic that 25% of pets live in a situation of abandonment characterized by malnutrition and physical torture that includes linkages and isolation, in ecuador the number of homeless and lost animals is constantly growing. 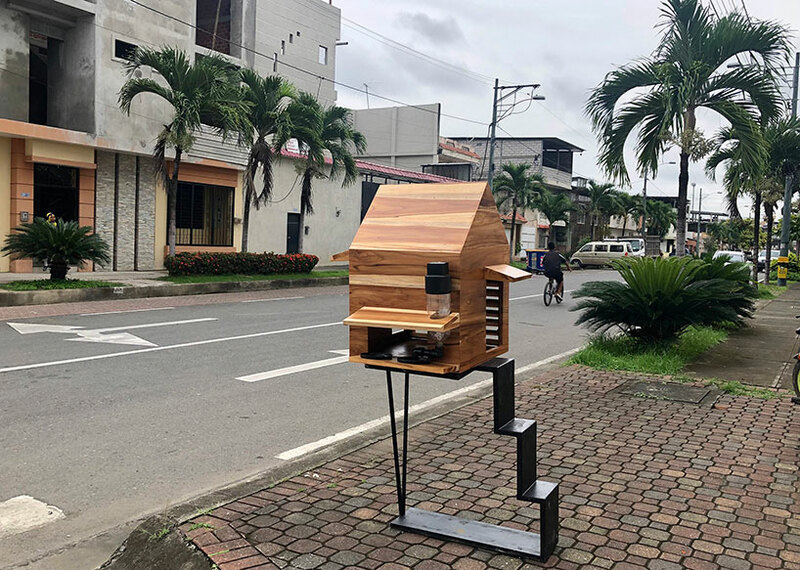 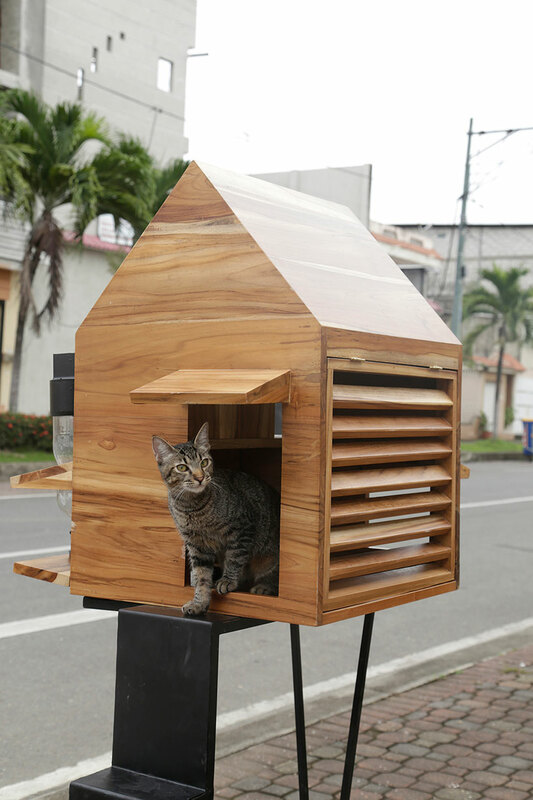 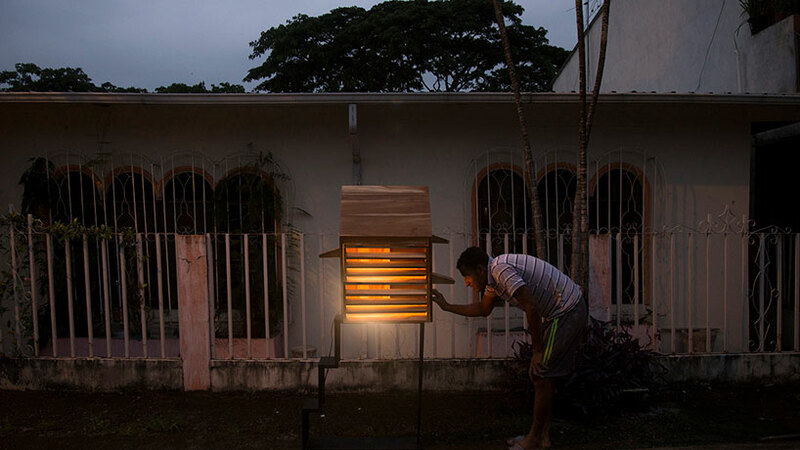 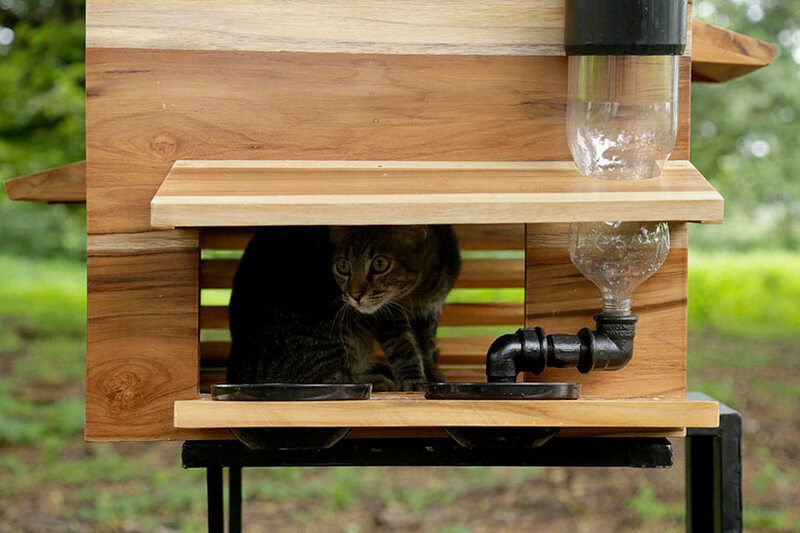 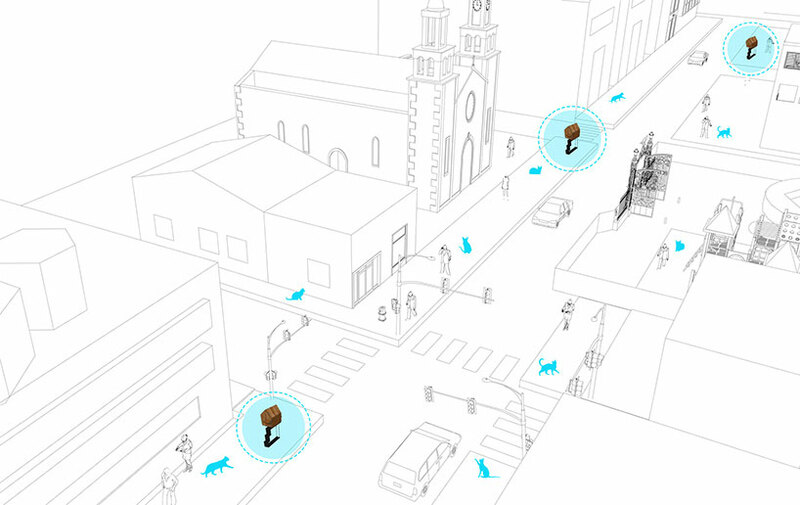 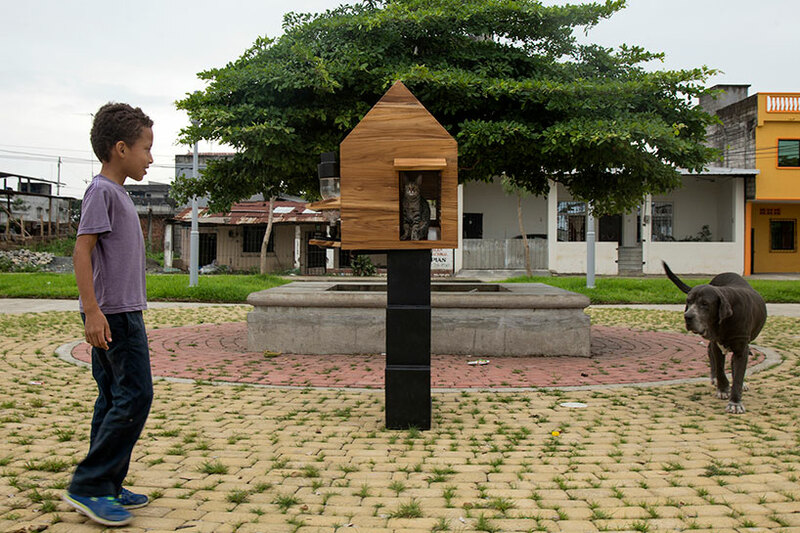 while the public policies work on the subject, generating necessary laws on animal protection, the city of babahoyo, ecuador, has developed a pilot project and built prototypes of temporary shelters of small scale located in strategic part in neighborhood areas, with design options for dogs and cats created by natura futura arquitectura. 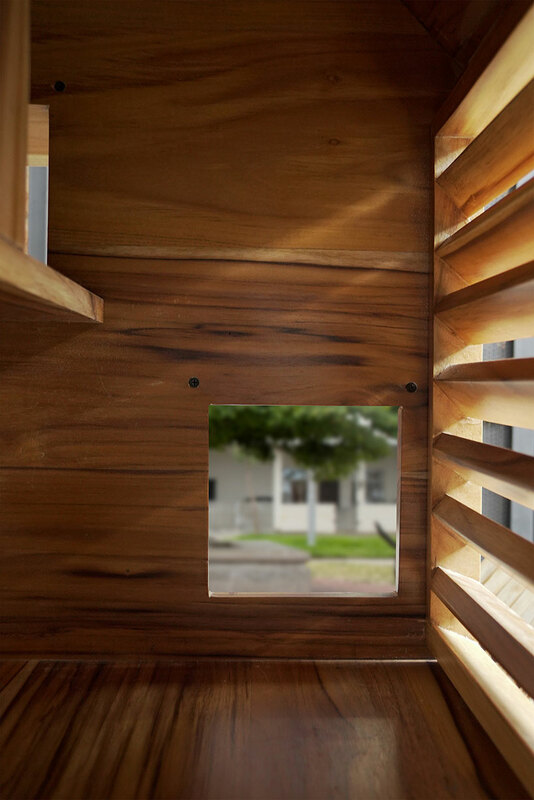 the refuge of 60 square centimeters is built of wood, protected against water and rain by small eaves, that help to have cross ventilation. 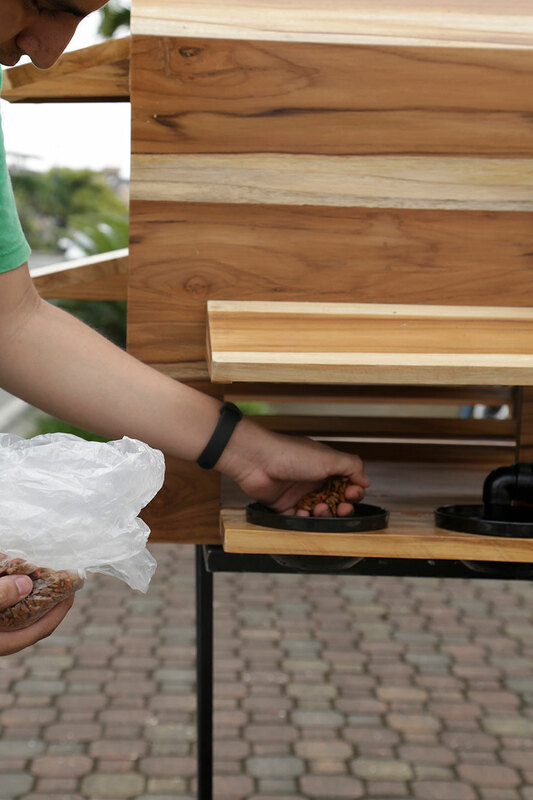 a tray for food is placed next to the water. 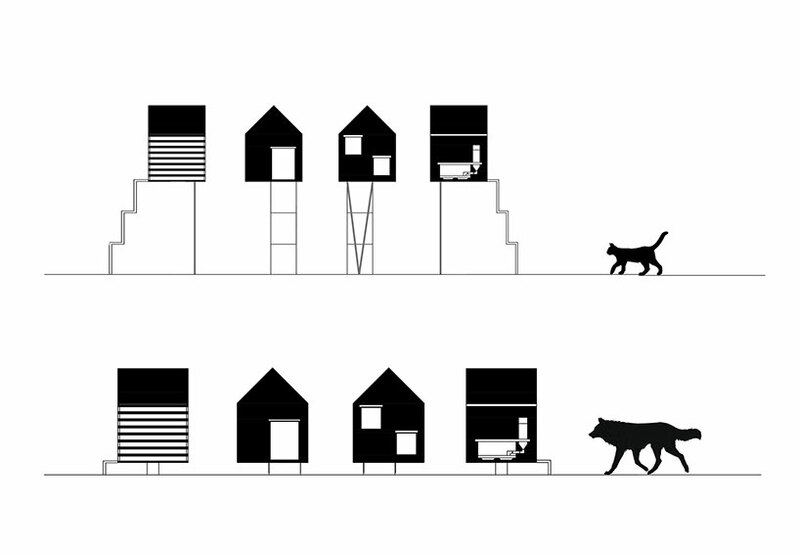 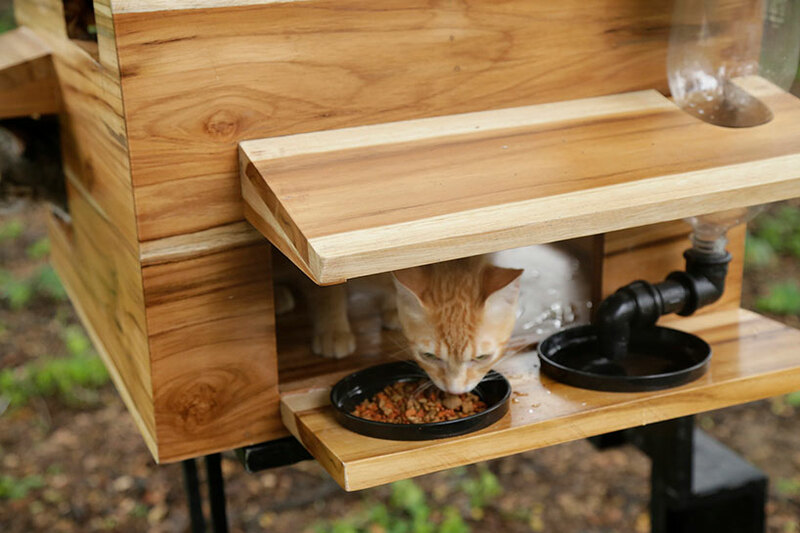 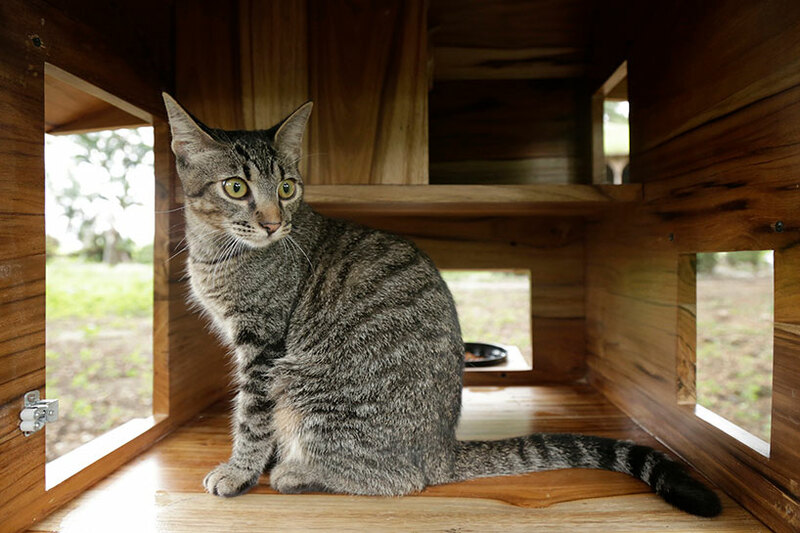 in the end, the shelters bring the idea of consciousness, a responsible city that welcomes and learns to live next to animals while they achieved in finding their home.